While on the Metro in Moscow Today, I entered a carriage with art on the wall. 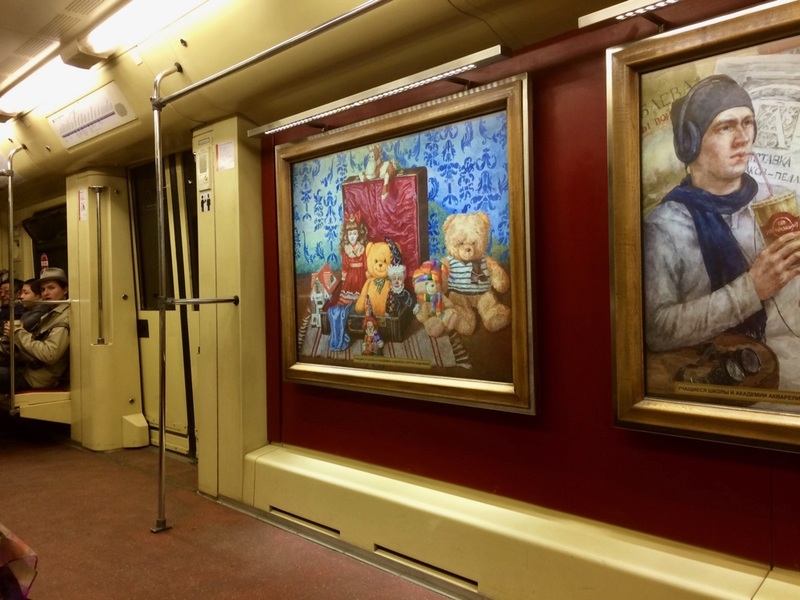 It included an entire gallery in a carriage. 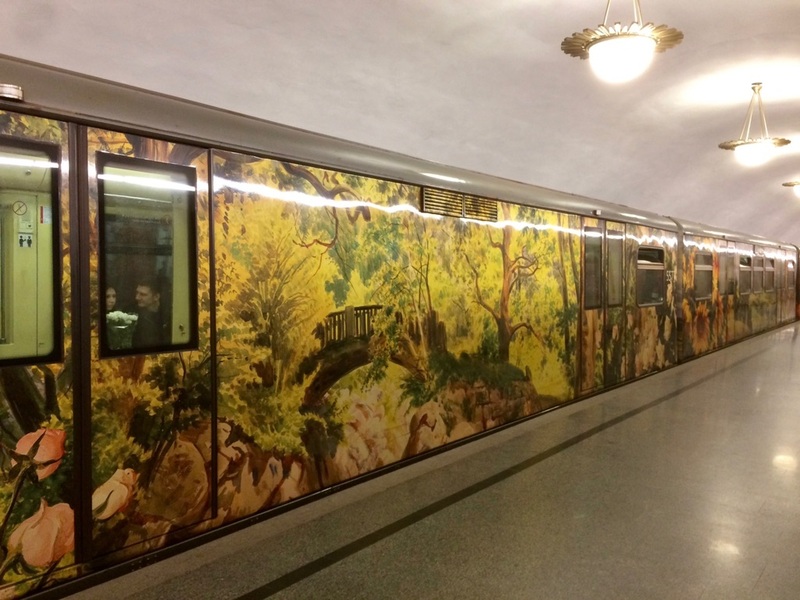 An outside part of carriages is decorated with amazing images of flowers. The unusual train brings new colors to routine life of passengers and makes their travel more bright. I took these two pictures for publishing here. 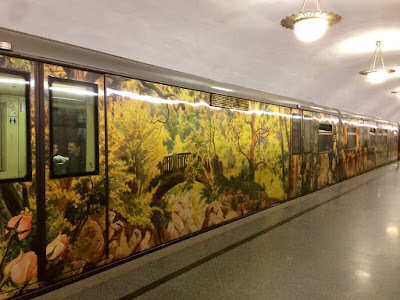 When you visit Moscow, don't forget to step down to underground: to Moscow Metro!